Height is 660mm from floor to top of radiator. 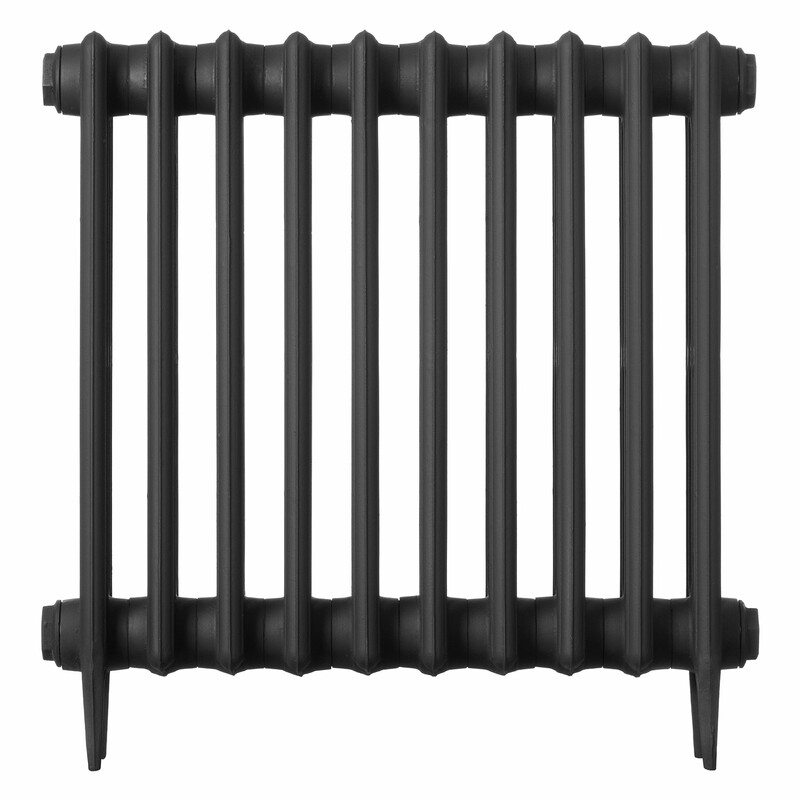 Traditional four column design provides excellent heat output. I am always unsure when ordering from the internet but these were very well packaged. Loads cheper than my previous supplier too. I wish I had found this company before.Will definitely recommend. Purchased 19 radiators of varying sizes - to go into a renovation of a 1925 property - just over a ton in weight! the ordering process and communication from CIRC and the delivery company was first class. It took two of us 6 hours to get the radiators from the lorry to situ in the property - the lorry driver was brilliant and helped us to get the products in to the house. (Please note that delivery is to kerb side & you should not expect this as standard so have help to hand). The plumber's feedback is that they are a joy to work with - fittings are easy to work with - especially as we had to reposition a few- we added the shrouds and sleeves and again easy to fit, adjust and look superb. I would recommend buying or hiring a 6 wheel trolley - without this you will really struggle to manage even the lowest of steps never mind stairs! The trolley made getting the radiators up the stairs really easy! 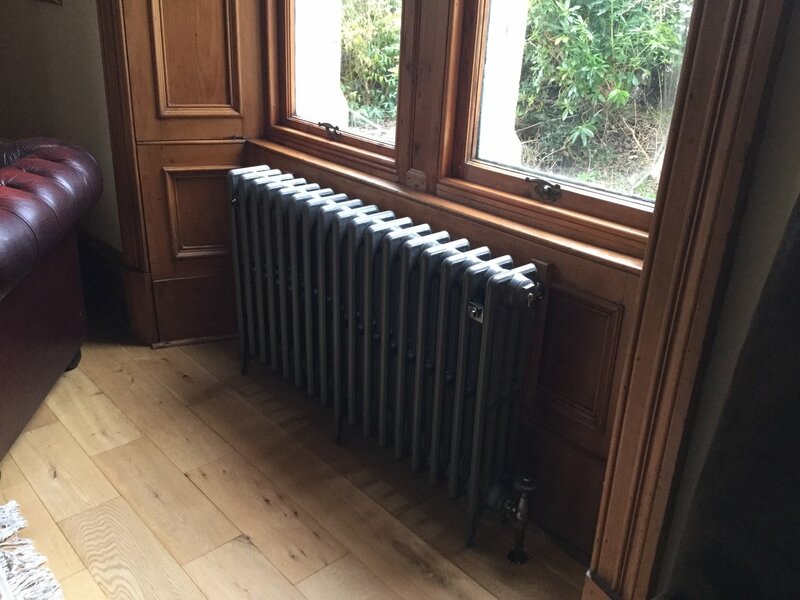 Everyone who sees the radiators loves them - we have a lot of trades in and out the property and they in particular gush over them!! A couple of things - use a plumber who knows what they are doing (thanks Gary) anyone who suggests using plastic to connect them - show them the door. 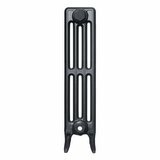 If you are fitting a good number I would recommend fitting an extra good sized expansion chamber as this will easily cope with the added heat and steam created by cast iron and will prevent any issues in the future. Was always a gamble spending so much and having the added issues with installation, however I couldn't endorse these radiators or the service and higher. 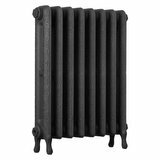 This is the 6th cast iron radiator I’ve purchased from castironradiatorcentre & as usual the item is perfect , service was great right from ordering to delivery . The cast iron rad makes such an impact on a room..a real finishing touch . 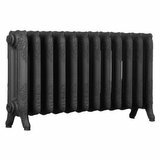 We're pleased you would like to review Traditional Victorian 4 Column 660mm Cast Iron Radiator. 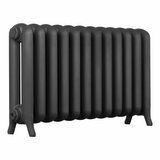 I have bought 7 traditional column radiators in gun metal grey with the black nickel valves and they are outstanding!! The heat they belt out is sublime and transform the look of my house, in other words they looks the muts nuts!;. Top service with no issues!! I looked everywhere on the web and for some reason castironradiatorcentre interestd me. The website was very easy to navigate also ordering was easy. The products I had were radiators x 2, wall fixtures x 3, air screws, taps x 2 and top up paint. Service excellent, feedback, and communication were all excellent. Delivery and packaging was all excellent. 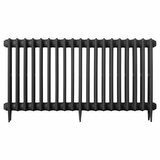 Bought this radiator to complement a retro industrial look in my hall. I used the BTU calculator to find out that i could get a much smaller heater than my original standard radiator but settled for one in between. I can honestly say that the effect has been stunning and it fits right in with the look. Delivery was much quicker than expected despite the xmas holidays. It gives out plenty heat and my once freezing cold hallway is now nice and warm and thats without turning the heater all the way up!! Would definitely recommend this product to anybody, well worth the money. 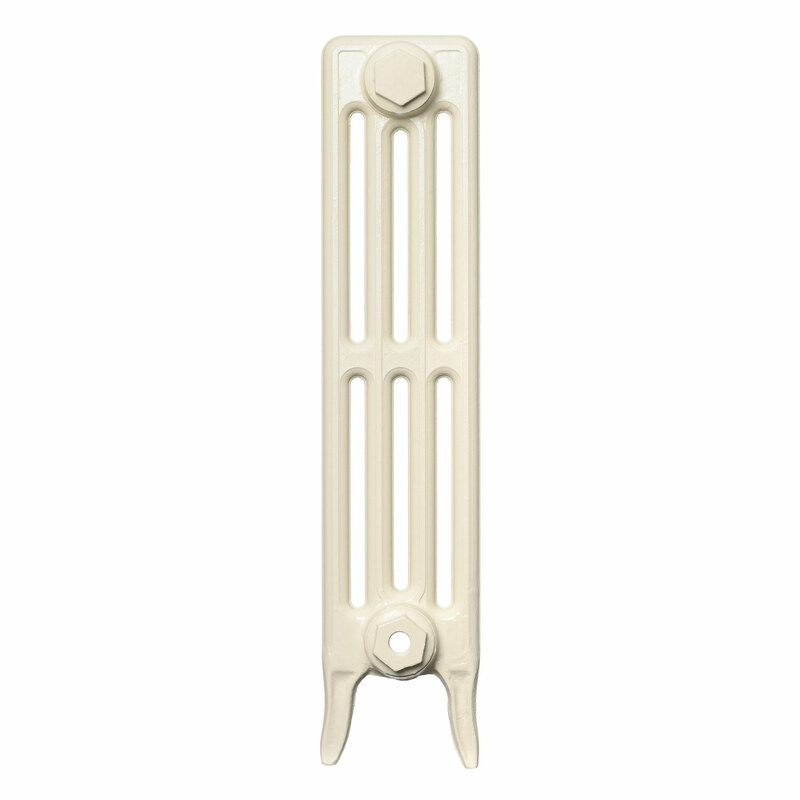 This radiator in cream is the perfect match for our Victorian/Edwardian kitchen and finishes everything off perfectly. 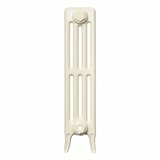 I looked at quite a few traditional radiators, but this one topped the list. 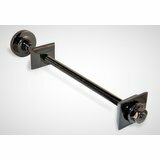 Well built, sturdy, and painted to your option before delivery. The heat output is fantastic compared with our previous rad. Good delivery time from order, and was kept informed at all times. Any queries were answered quickly. Delivery is to your 'kerb' only and no help from the delivery guys, so had it delivered to my plumber. Maybe a little more expensive than some, but for the quality well worth it. Highly recommended. I purchased multiple Radiators in this range for the entire property. Great customer service and great products and a very reasonable price. They sent out texts and emails during the delivery period and after I’m got to handle and install with all the relevant information which was great. I would highly recommend. 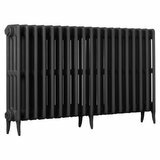 Superb radiator delivered quickly, just over a week for a made to order product. Be aware these radiators are exceptionally heavy and touch up paint was a must. Great service! Really good price. Very friendly staff and much quicker turnaround than competitors. Haven’t switched it on yet but looks great. Thank you! 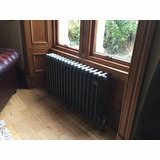 This is the third radiator we have purchased from the Cast Iron company.Good delivery service,really excellently manufactured radiators,good price.would highly recommend. I bought 4 radiators and have now purchased a fifth. They look great and delivery in the summer was super quick. First radiator bought from this company but won’t be the last. 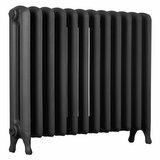 Good, competitive price, lovely radiator and very quick delivery. All round very pleased. Bought 4 of these radiators (all different sizes, plus valves etc) and am very pleased with the purchase. Excellent and helpful service from staff, rapid delivery at a time that I wished - all arrived well--wrapped on a sturdy pallet. Very pleased and would recommend this company very highly. Bought five of these radiators and was not disappointed. Good quality product that looks very stylish. Would have no hesitation buying from this company again. 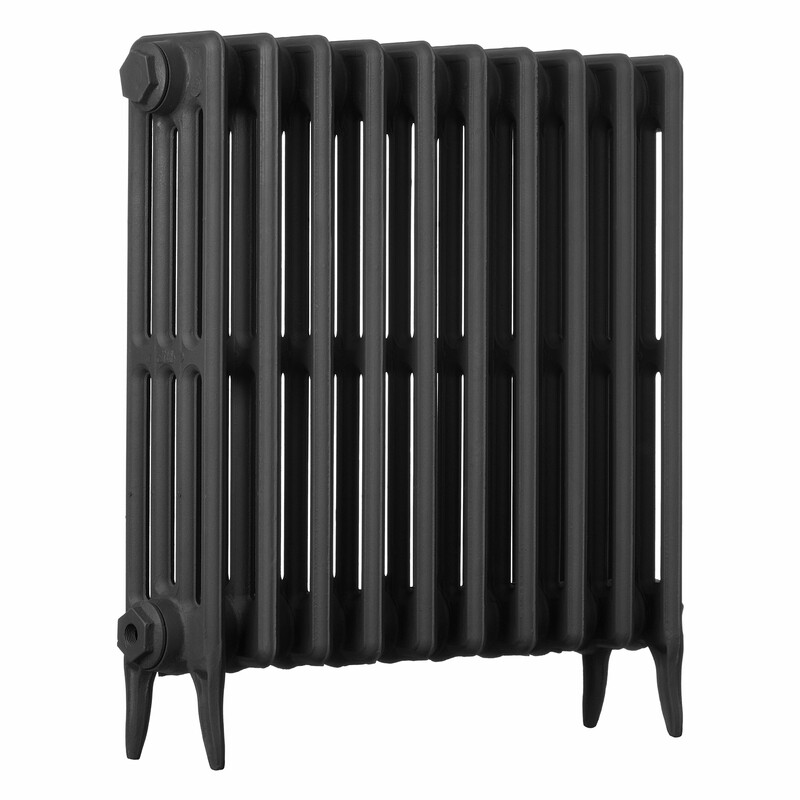 Have purchased several radiators from this range and they look great, fit easily, and get compliments from my friends! service this time was way over and above what I expected too. Highly recommended. Love the radiators so much ... just going to order them for the bedrooms as well! A great company to deal with, kept me informed all the way through production and what fantastic products when they arrived. Excellent service as always bedrooms are now complete and look great . Beautiful radiator (never thought I’d be saying that) and excellent service, will definitely be back when we decorate the next room! Chap was more than happy to discuss widths and depths making sure we got the right size radiator for our existing plumbing saving hassle. Very pleased. 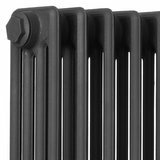 This is the second radiator I have ordered from this company.Ordering the item was easy,and the staff that I spoke to when confirming the order were pleasant and totally professional. 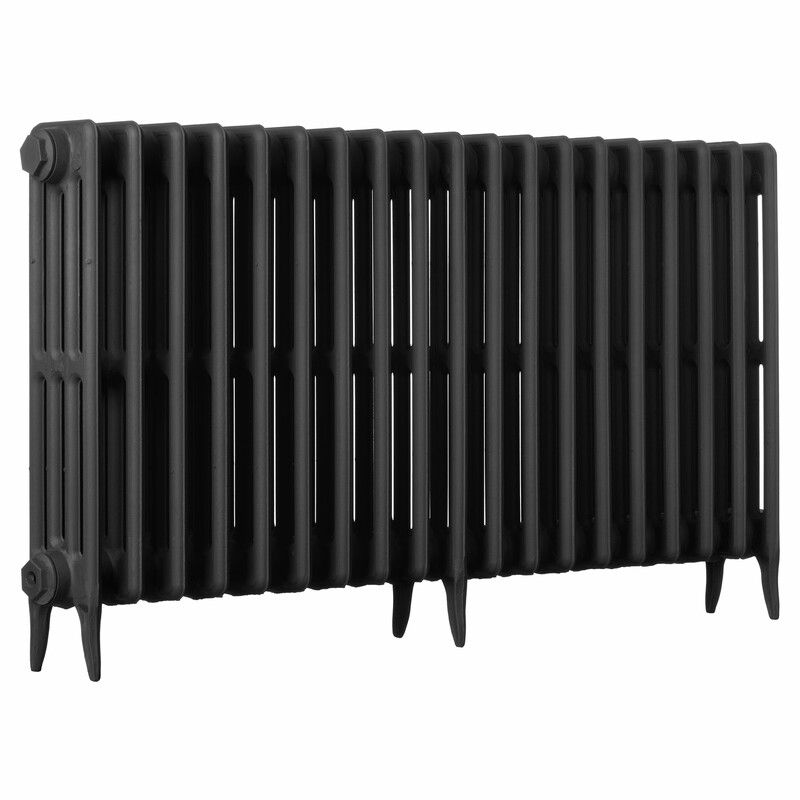 The radiator is excellent,really well crafted and looks great. 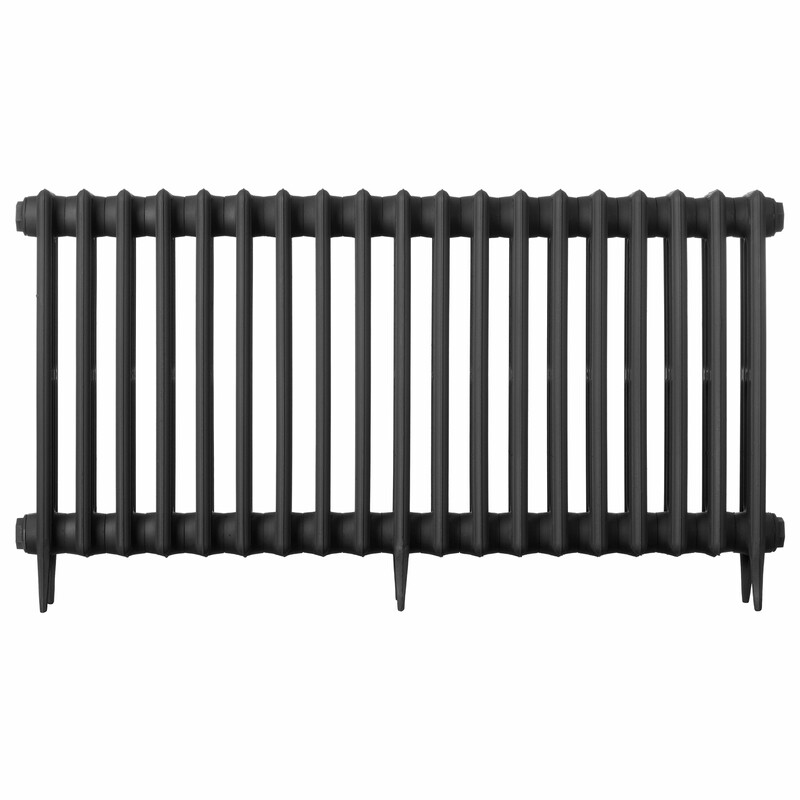 A quality radiator at a very reasonable price. The Cast Iron Radiator Centre kept us updated on the progress of the order, which was completed on time. 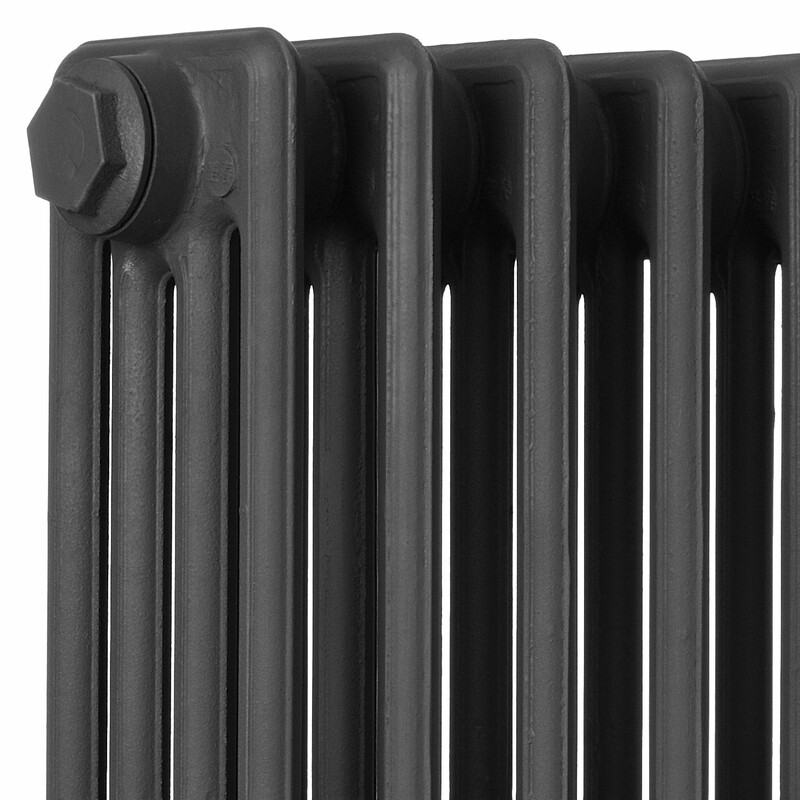 I bought 12 cast Iron column rads & they are a First class product, look great & perform great. 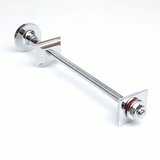 We purchased 7 of these in a range of sizes and styles, we were updated on shipping times and took delivery as advised. We went for 'Linen White' which unfortunately on 2 of the big rads had some misses on the paint work so the black was showing through. A quick phone call and 2 more rads were placed on order and these were collected while the new ones were dropped off, a small hiccup but dealt with in a friendly and professionally manner, thank you! We are really enjoying the aesthetics and the sheer extra warmth these beasts hold. Love them, thanks again! 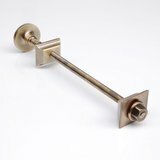 Radiators are just perfect, as are all the satin nickel trimmings... the thermostatic valves look truly a work of art! Excellent service, with lots of help and guidance in ordering the appropriate size / heat output - I felt quite lost and was pleasantly surprised by the amount of time (and patience) offered! I would thoroughly recommend purchasing from Cast Iron radiator Centre for great service, delivery and deal! Fantastic product and service. Definitely recommend and definitely 5 stars. Great product and would recommend to friends. Excellent product will use again. This 19 section radiator was installed today in the nursery. We are so happy with how good it looks, would definitely recommend. Great value and great product. It does smell a bit, hoping this will dissipate quickly. Will order again. Very happy with our purchase - excellent service. Will definately be purchasing from you again. We are really pleased with the quality of this product, especially as it was at least £120 cheaper than similar products we had looked at (and half the price of a bog standard Screwfix product). Looks good and works a treat. Happy to recommend the product and service. The second time we have ordered. Delivered quickly, hassle free transaction. Very happy with the quality of this radiator. The black satin finish is very nice. Our plumber said it was an easy radiator to fit which is good to know - I might well be replacing other radiators in the house. Excellent radiator. Installation easy and came complete with information sheet. Delivery on time and very well packed on a pallet. Helpful, friendly and honest enough to advise there may be a slight delay over the phone. Will be buying again in the near future. Really beautiful quality! I am really pleased i went with these over reclaimed ones. The black satin finish is really lovely. They arrived when they said they would. Also the quality of the valves i received were excellent also. Great advice and beautiful product! I was unsure whether to order white or grey so called for a bit of advice. The guy I spoke with was really helpful and advised the grey looked better in his opinion. I ordered 2 of the smaller radiators I need to be safe and they arrived a little over 2 weeks later. I was a bit nervous but they are amazing. I love them!!! 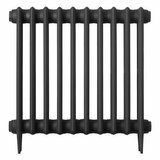 I have since ordered the 2 large ones we need and will be definately replacing the rest of the radiators in the house after Christmas. The colour is lovely with a subtle sheen. My friends all have radiator envy! I'd highly recommend this product and the customer service is spot on. Seriously good service, very friendly and efficient . Can't recommend enough. 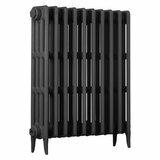 Fabulous radiators - great build quality and excellent value for money. Also arrived in double quick time , which was a bonus ! I bought 10 radiators and 10 valve sets. The same products were more expensive elsewhere, and they arrived on time and as ordered. The people I spoke to on the phone were helpful and friendly - even when I changed my mind about an item. Definitely recommended. Absolutly fantastic product looks amazing matching my wood stove perfectly. Great price too seen others advertised for 3x the price. Will be buying for my hallway next. 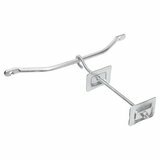 Ordered two of difference sizes, they are fantastic value , cannot recommend enough, get one, I know I will be ordering more. They are fantastic quality, and very heavy so call in a friend to lift them! Very impressed with the speed of supply and delivery, and the quality of the radiator. Very happy customer. Easy to order, simple and efficient service. Radiators wonderful, heavy strong and lovely in appearance. Excellent all round experience of buying on line thank you. Good product & price, prompt delivery. Would buy again. Victorian - School style - 660mm 6 section rad. 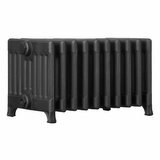 Excellent value for money good quality radiator. This is the fourth of these radiators I have installed in my own home together with the traditional types of valves and thermostatic valves. I am extremely pleased with their heat performance. Their old style appearance also fits perfect in my cottage décor, many thanks. radiators good value for money but the paint job was not up to expectations, looked like it had been wrapped for sending while stll wet -very dissapointing!!! Bespoke 8 section 660mm cast iron radiator. Very quick delivery and superb value for money compared to local builders merchant and so called heating specialists. 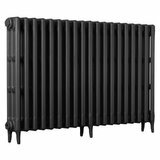 Bought 3 radiators altogether and they look fantastic and get very hot and stay hot after the heating has been turned off. Will never buy another steel panelled radiator again! Do take more skill / patience to fit and ptfe tape is a must on all threads as being cast, threads are quite coarse. Overall, 10 out of 10. Recomended. 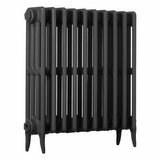 Excellent quality radiators - beautiful finish, great service all round. Got a plumber to install and no problems according to him. Word of warning - they are HEAVY - poor delivery guy! Just wanted to write and say a huge 'thank you!' for getting the radiators to us as quickly as you did. I had visions of us waiting at least another two weeks, based on your lead times. They look absolutely fab! and your customer service was superb. Would certainly recommend you. Great well made radiator just put one house great value very good quality..No probs with these guys..
Hi, Just wanted to thanks for all your help Tina with our radiator order. We got there in the end. The look wonderful & have made a real differnce to our home, not just in terms of how they look, but we now appreciate being warm again. 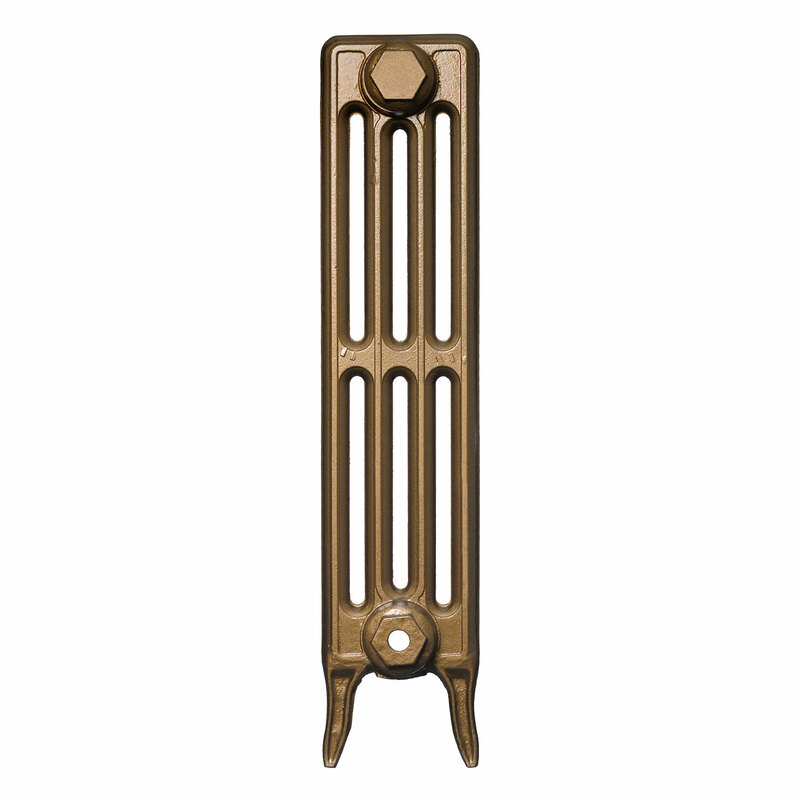 We have purchased several of these rads and are superb value for money with a great finish. IMHO buy the valves to go with them. We've purchased 4 of these rads, plus another 5 in different sizes and we are delighted with them. As well as looking really good, the heat that they produce is fantastic. They really do retain the heat as well. The service from Coventry was excellent. I've found no rads that can beat these on price and heat output. We bought these radiators 4 years ago, and have been delighted with them. I've been prompted to write this review because we've come back to buy another one, so they must be good. 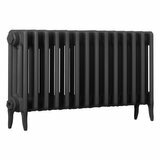 Everyone comments on how great these radiators look, and they are far better for heating our house than modern radiators. Service was excellent too - emails and phone calls answered very rapidly, and loads of information provided to help us buy the correct sizes.